To celebrate today, I thought I'd put together some fabulous green finds to share with you all! Here are some great green items that I spotted on the web (loving the Coffee Shop coat from Target!!) for less than $50 (note: use code TULIP on the dress for 15% off!). Happy shopping, and have a fun and safe St. Patty's Day! I love the dress....I may splurge and purchase! Wow, I love that Target jacket! Awesome find. 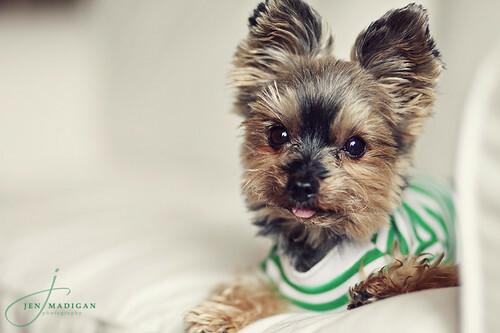 I love your yorkie's pic!!! So, so cute!! Love einstien! !